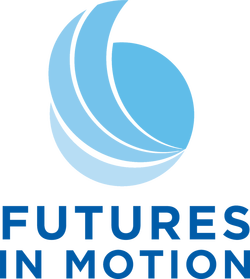 Season for Gratitude - Futures in Motion, Inc.
It’s that time of year when we start the season of gratitude. Thanksgiving will be here soon, and it’s the time when we reflect on what we’re grateful for. It feels great to reflect on a good year in hopes for a better one to come. I often share that I’ve experienced significant personal losses that for a time put a damper on my hope and optimism. I was angry, sad, discouraged and had no hope. I was miserable and just trying to get through the days. I was surviving. But, I didn’t want to live that way anymore, so I started reading about and hearing about others who’ve overcome adversity. I read biographies about people who are known throughout the world- Oprah, Tony Robbins, Brene Brown, Richard Branson to name a few. I also talked to ordinary people doing extraordinary things on the local level. What they all had in common was gratitude. They were grateful for life itself, for opportunities, for the people in their lives, for their gifts and talents. They also talked about the daily habits they established to foster and maintain a sense of gratitude. I learned that gratitude is the cornerstone of peace, joy and opportunity. Without gratitude for the little things, we can’t appreciate and recognize the big things. When you’re in a less than desirable job with a bad boss, difficult co-workers or clients, long days and any number of challenging circumstances, gratitude doesn’t come easily. I know that first hand. Fortunately, an attitude of gratitude is a habit that can be cultivated. Imagine how your life would improve if reflecting on what you’re grateful for was a daily habit? REPRINT GUIDELINES: You may reprint these articles free of charge in your newsletter, magazine, or on your web site, provided that they are unedited, and that the copyright, bio slug, and contact information below appears with each article. Articles appearing on the web must provide a hyperlink to our website. Please provide us with a courtesy copy of the print or email issue containing the article, or the URL of any article posted to the web. All articles are written by Markell R. Morris, MA.